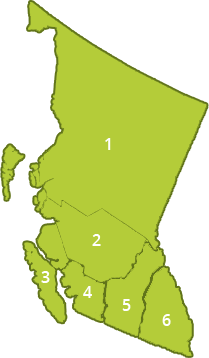 Derek Richmond, Manager of Engineering with the City of Courtenay, opened the session by describing the elements of a successful project outcome as portrayed in the image above. His emphasis was on the process that leads to success. 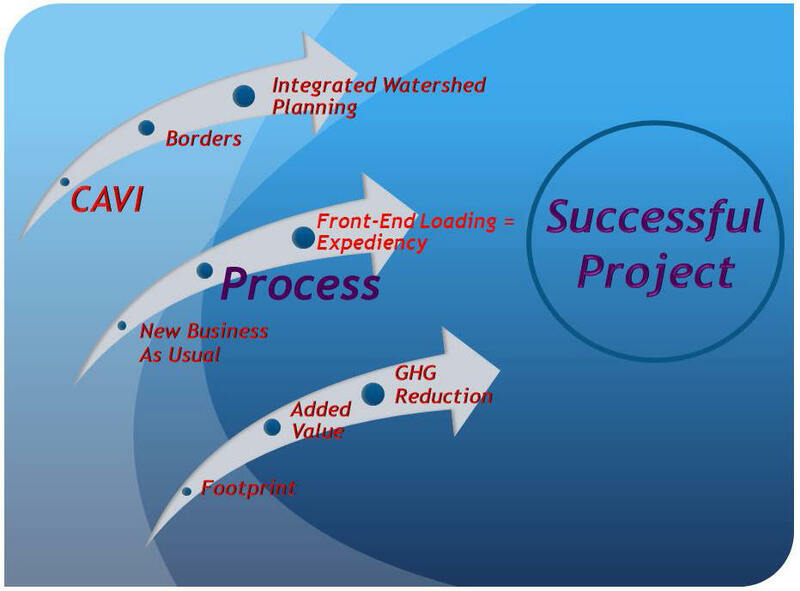 He connected the dots to integrated watershed planning, ‘front-end loading’ in the development application process, and greenhouse gas reduction. To download a PDF copy of the above image, click on From Process to Successful Project. To grasp the finer points, listen to the explanation posted on YouTube. “The end product is a successful project. But what we really want to focus on is the process – that is, the process of how we can work with you (the development community) to ensure that we expedite the process, that you end up with the product that you want, and that you keep down your costs,” stated Derek Richmond in his concluding comments. To view Derek’s remarks in their entirety, click on From Process to Successful Project, and view a 5-minute video clip. 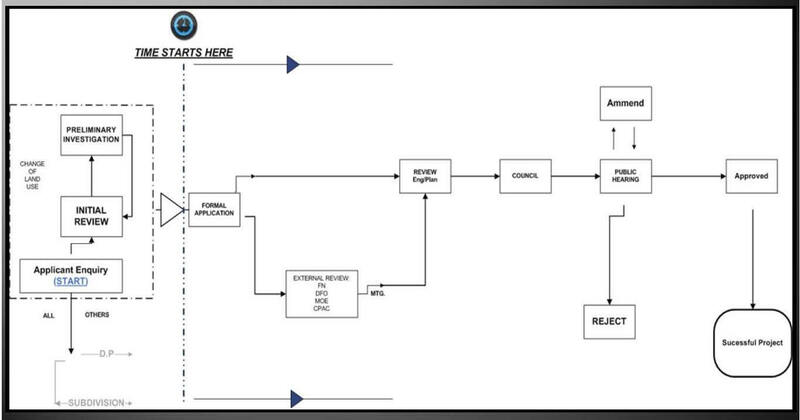 His commentary set the stage for a discussion built around the flowchart below. To download a PDF version, click here or on the image below. The key take-away message was that the clock does not start ticking until a complete application package is submitted by a development proponent to a local government. Because ‘time is money’, this provides the incentive for ensuring local government expectations are understood and met.